In our June issue of BardNotes, I posed four questions to y’all. Three of them were requesting your advice about our blog and some new directions it might take. I snuck in the fourth question, purely for my own selfish purpose. I asked you what I should read this summer. Thanks to the many, many of you who sent responses to some or all of the questions. They were wildly helpful. We’ll be back in a bit about the blog, but for now . . . the books you recommended! A completely fabulous list. And since many of you said, “Send us the list!” we’re doing just that. In all, 126 recommendations. Data point that is amazing to me: only two titles were recommended by more than one of you. You are a fascinating and eclectic group of readers! Two or three of you recommended All The Light We Cannot See and Americanah. In this blog post, you’ll find the first half of the list. In our next post, the rest of the list plus a bonus. We got so excited about your recommendations that we decided to ask our squad of summer interns–two undergrads, a recent high school grad starting college next month, and a rising high school junior–for their reading recs too. When I introduced myself as one of the master teachers (the other was the fabulous Michael LoMonico) to the 29 teachers participating in the Folger’s first Summer Academy, I told them the Folger was a magical place. I thought about the unicorn painted on a screen on the ceiling of the Folger theater and the quote around it from As You Like It: “All the world’s a stage and all the men and women merely players.” A magical and mysterious image surrounded by magical, mysterious words. 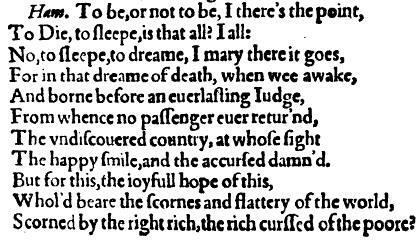 This indescribable magic was a feeling I felt during my first experience at the Folger in 2012 that I just couldn’t express or convey through words (mine or Shakespeare’s) during the academy introductions. But a week later, after five very long and very full 12-hour days, every participant came to understand that magic and mystery that my words couldn’t describe, and I was privileged, once again, to see how Folger Education can transform a teacher’s life, his/her students’ lives and classroom practice. I knew that to help everyone understand that magic and the mystery in our short week of the Summer Academy, some work would be involved. And boy, did we work. We read. We read Hamlet (using the 3-D Shakespeare strategy described here). Then we read Hamlet again and compared the Quarto One “To Be or Not to Be” soliloquy which doesn’t include “that is the question” but rather “I there’s the point.” Yep. It was changed! Then we read the 1604 version of Hamlet. Then we read the 1623 First Folio version of Hamlet. I think you get the point about how much we read. But with every reading came deeper understanding and a closer connection with Shakespeare’s words. Summer Academy participant Jennie Brown shares her experience at the mid-way point of Summer Academy 2015 which took place from July 5-10, 2015. Where do I even begin to describe my experience so far (only on day 3!) 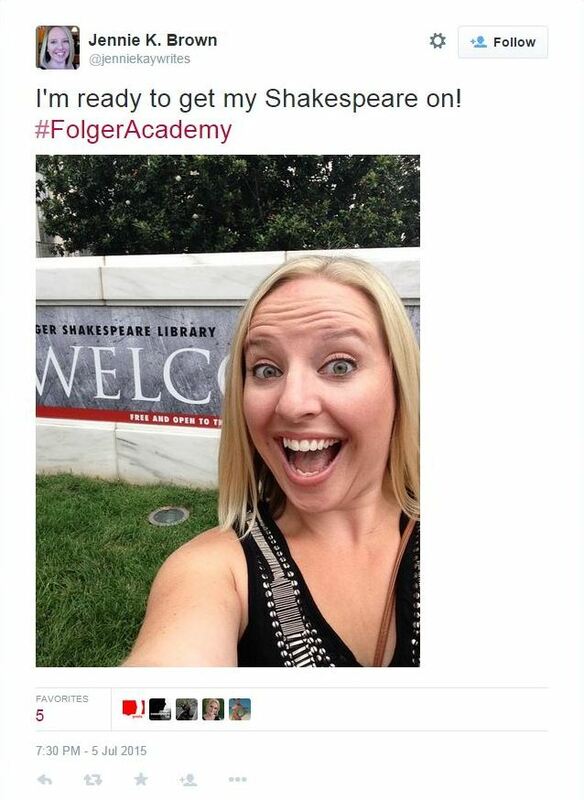 of the Teaching Shakespeare Institute’s Summer Academy 2015 at the Folger Shakespeare Library in DC?! Mind-blowing, awesome, humbling, exciting, the list goes on and on. Amazing Teachers: There are 28 amazing, like-minded, Shakespeare-crazed teachers here with me at the Folger Library, and every single one has a passion for bringing the best of Shakespeare–his words–and ways to teach his language back to the classroom. Both LoMo’s and Debbie’s work and the plethora of strategies and teaching material they gave us will be used in my classroom, and in all of our classrooms throughout the country. Without doubt! Amazing Lectures from Scholars: The director of the Folger Library, Dr. Michael Witmore, spoke with us after “homeroom” on day two about thedigital direction in which the Folger is moving, and showed us new digital tools that give us a whole new way to look at the plays.Professor Sandy Mack had me questioning everything I thought I knew about Hamlet, and his old world vs. new world discussion — mind-blowing! I could hear that man lecture every day! Folger Education Faculty and Staff. Honestly, I was nervous and intimidated when we first arrived at dinner on Sunday night. But after the first thirty minutes, Peggy O’Brien and Corinne Viglietta had welcomed all of us into the Folger family with open arms, immediately putting me (and many others) at ease. Acting Workshops. I haven’t been on the stage in years, and the workshops with Michael Tolaydo and Caleen Jennings made me see just how much Shakespeare’s words come to life when spoken on the stage. This will happen in all of our classrooms! Rare Materials. TOUCHED. A. FIRST. FOLIO. Do I really need to say anything more? So, basically EVERY SINGLE THING we’ve done so far has made the list of highlights. This is truly an experience I will NEVER forget, and thanks to everyone at the Folger for this opportunity! From the faculty and staff, to the librarians, guest speakers, and security guards! You have ALL made this such an enjoyable experience for me. AND DID I MENTION, WE ARE ONLY JUST STARTING DAY 4?! I can’t wait to see what else is in store for us! Jennie Brown teaches 9th grade English at Annville-Cleona Secondary School, Annville, PA. She can be found at @jenniekaywrites on Twitter. Want to get up close to a First Folio? 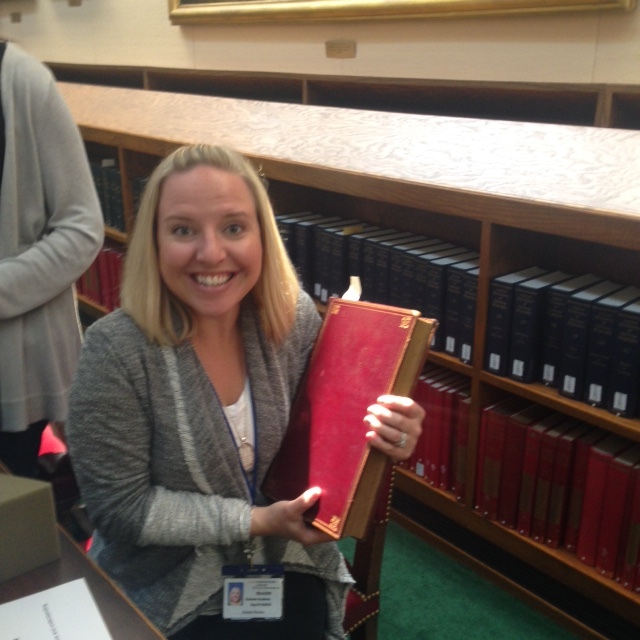 Over the course of 2016 we are bringing the First Folio! The Book that Gave Us Shakespeare to all 50 states, plus D.C. and Puerto Rico. In less than six months this nationwide tour kicks off at the University of Notre Dame in Indiana, the Sam Noble Museum in Oklahoma, and the University of Oregon. 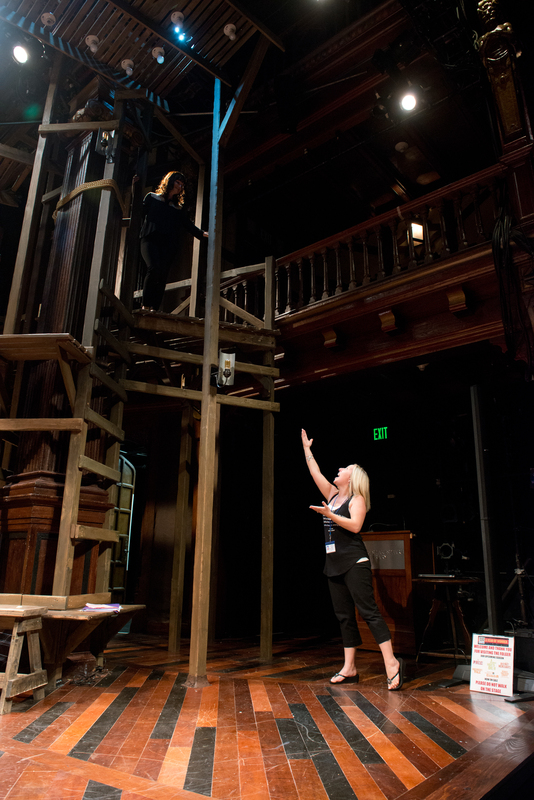 There will be workshops and events for teachers and students in all 52 locations, so check out the list below to find out where and when a First Folio is coming to you. The First Folio! tour is part of a greater celebration in 2016 of the 400th anniversary of Shakespeare’s death. 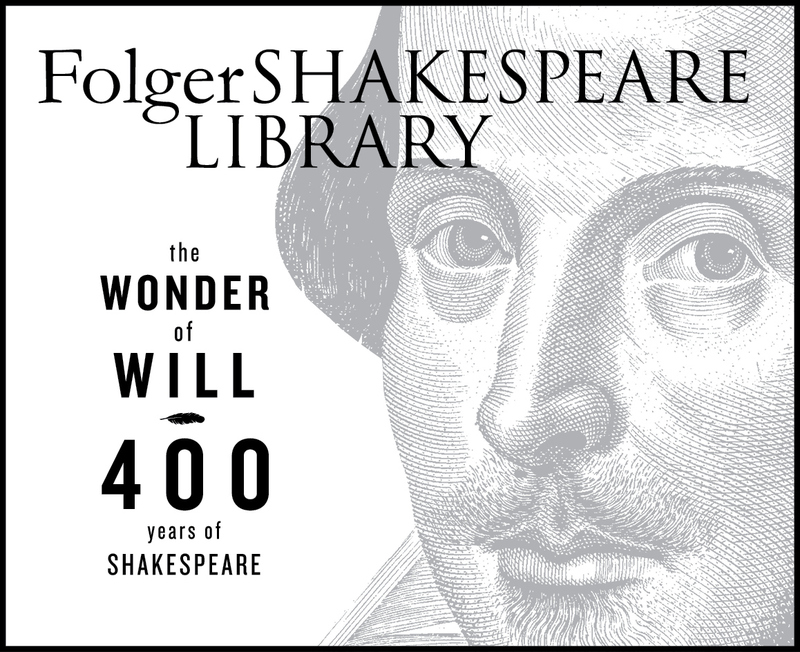 At the Folger we are calling this celebration the Wonder of Will, and we hope you will join us for the festivities. 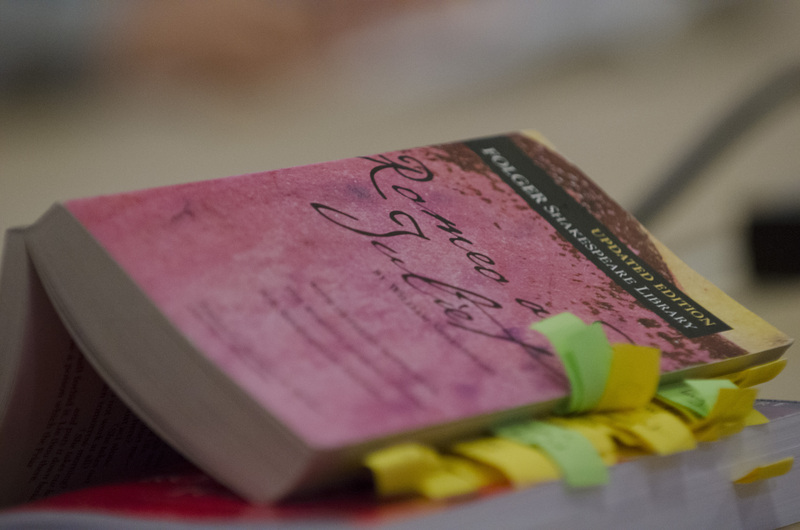 Last week 29 teachers joined for a week-long Summer Academy on Hamlet. Check out how much fun we had. We’re in the middle of our first-ever Summer Academy: a jam-packed week of learning with 29 passionate teachers from all kinds of schools all over the country. You’ll be hearing from them in the coming months as they reflect on their time at the Folger and take this week’s big ideas and strategies right into their classrooms. In the meantime, check out these tweets and images—they’re a pretty great slice of this invigorating Summer Academy life! This year, I became the English Instructional Coach at my school. My job includes creating and modeling lessons for a huge English department (we have over 3000 students in grades 10-12). One of the best activities that I modeled was using the prompt book. Of all of the Folger activities, this is probably my favorite because it can be modified easily for any reading you do in the classroom. For our Senior teachers, we used a version of the prompt book/tableaux for students to break down their reading of Paradise Lost. Each group was in charge of creating a tableau for the section of the poem. I gave the teacher my special “prop box” filled with random wigs, costumes, and other props. Eventually, my prop box was passed throughout the English hallway as students did prompt books on Jane Eyre, King Lear, and Taming of the Shrew. For one of our staff developments, I modified the prompt book for each grade level’s drama selection: Antigone, Streetcar Named Desire, and Macbeth/Hamlet. The teacher’s loved this activity because it was a new way to look at close reading. We are inundated with data that suggests close reading is the best activity for students, but many teachers have a hard time teaching this and keeping their students engaged. Prompt books not only teach the necessary skills for close reading (identifying key elements, tone, character) but they also keep the students engaged. My students have never had more fun than when they were performing their cut scenes, chapters, sections of a text. Finally, I was also in charge of planning our Fall Intersession. This is a week long session to remediate students who have failed state assessments. These are our most at-risk students. They don’t want to be at school during vacation and they pose disciplinary challenges. Even though these students need the most engaging lessons, remediation most often entails lots of worksheets and boring seatwork. I resolved that we would change that this year. 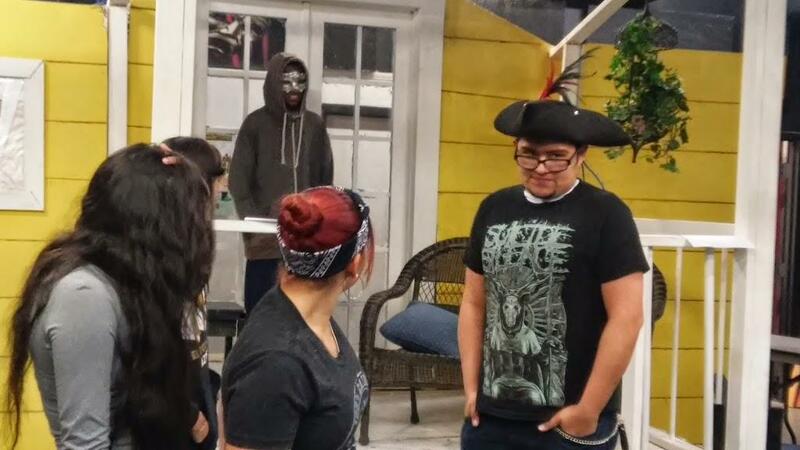 I paired our English teachers with our Theater teacher and each level did a prompt book and performance of an Edgar Allan Poe story. We combined each short story with a poem as well. The kids had a great time and guess what? No discipline issues. We also got them to do a close reading of a very difficult piece of literature. Below is a picture of their performance of The Masque of the Red Death. Next time you want students to tackle a scene (Shakespeare or otherwise), consider using a prompt book activity. Get out your own prop box and watch the magic happen! Greta Brasgalla is an English Curriculum and Intervention Coach at El Dorado High School in El Paso, Texas.